3 meters of space and a smartphone. To do the eye measurement as well as possible we first need some information from you. Are you already wearing glasses or lenses? Are there other factors we need to take into account? By thinking about this in advance, easee can automatically adapt to your profile. 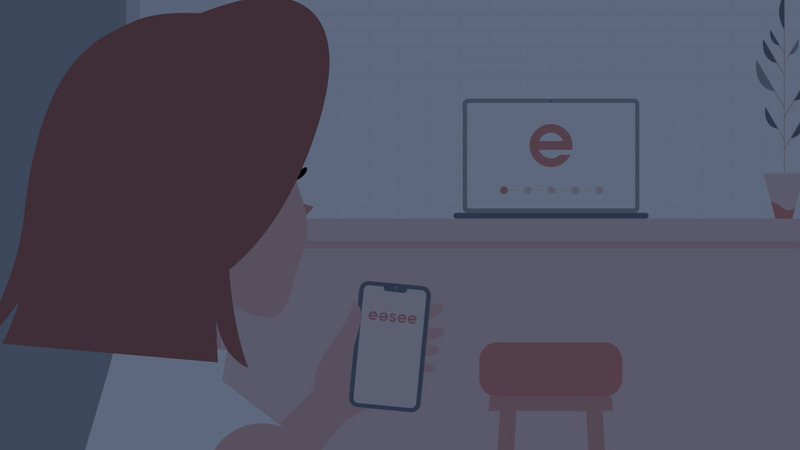 In a simple way, we make sure your computer and phone are connected to easee. And that you are 3 meters away from your computer. With instructions via your speaker and phone, you will be guided through the eye measurement step by step. Have you completed the test? You immediately know whether you need corrective eyewear or not. If so, you can order a prescription for € 19,-. Your unique prescription is always checked by our specialists to guarantee the quality of the eye measurement. If you have chosen a prescription for eyewear, you will receive it in your inbox within 24 hours. This prescription will also be added to your My easee account, so you will always have access to the information of your eyes. With the eyewear prescription from easee, you can go anywhere for glasses or lenses.